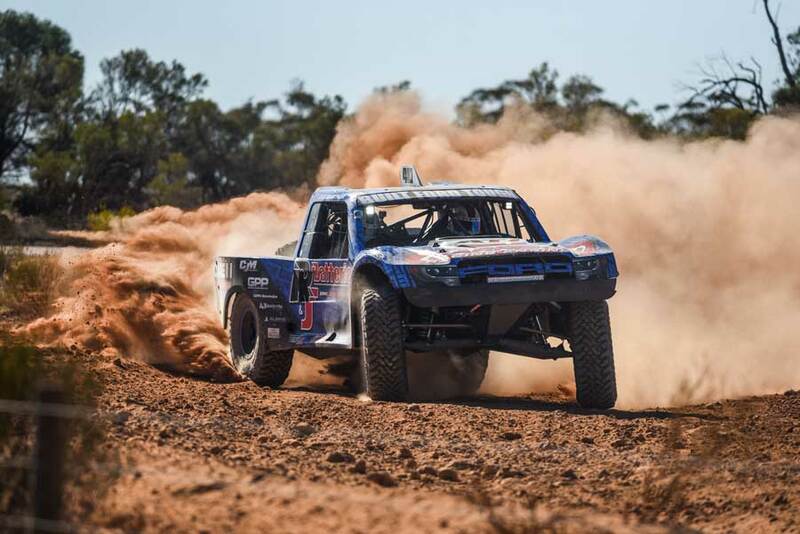 Twelve months after debuting the #410 R&J Batteries Geiser Bros Trophy Truck at the Waikerie Hotel ARB Riverland Enduro 300, Greg Gartner and Jamie Jennings returned to take the outright win at the 40th edition of the race. In the hunt from the outset, Gartner battled with the buggies of #93 Aaron James and #971 Scott Schiller before stepping in to the outright lead on lap 4. 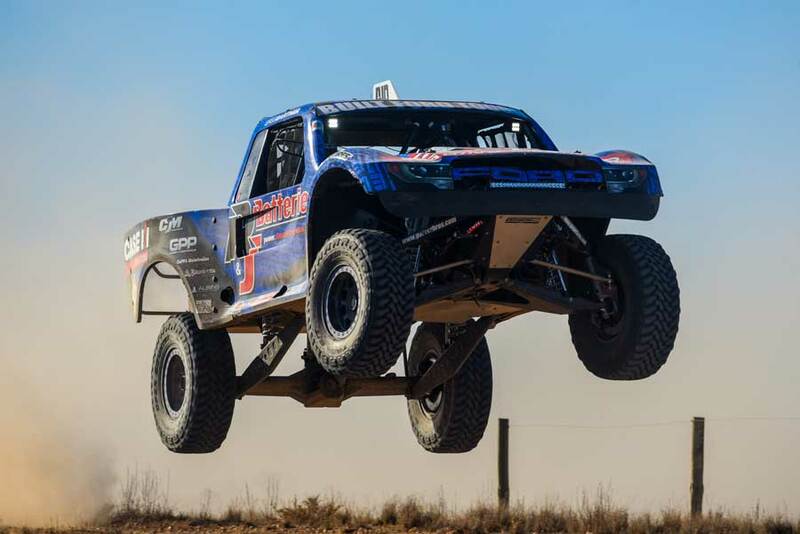 Aaron James then charged back on the final lap, before tangling with another buggy just a few kilometres from the finish, to leave Gartner to power home for the outright win in an overall time of 3hr 7min 33 seconds. After breezing through scrutineering on Friday night and a frosty start to proceedings during Saturday mornings track reconnaissance, the prologue got the blood pumping at 11:30am. The event organisers introduced a new prologue format, where drivers could opt to take a second crack at the prologue, with the time good or bad standing from their final run. 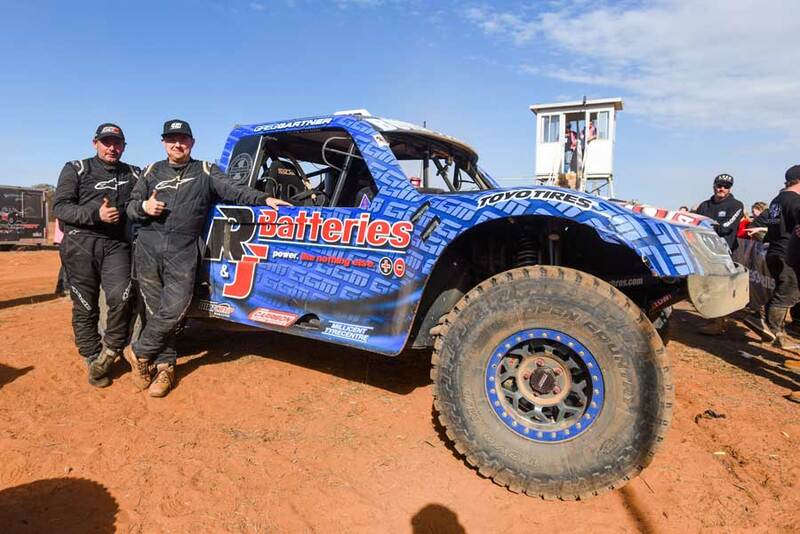 Greg Gartner Motorsport heads to another happy hunting ground, the Rainbow Desert Enduro, for the final round of the AORC, then if all goes to plan the #410 R&J Batteries truck may head north to Gundy after that.